Did you like watching anime or reading comic while you were younger? I did. I really love reading comic while I was in Junior High School. Unlike any other girls, my favorites character both were men. My first love comic character was Masahiro Sawamura. He was a character in Harlem Beat comic. The author was Yuriko Nishiyama. 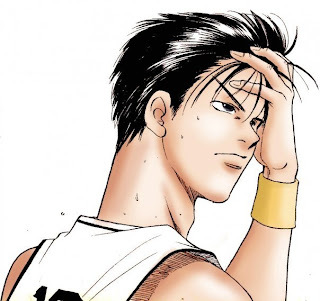 The comic's story was about a basketball group at Johnan High School. I like him because he was very mysterious and cool. Sawamura was a clever boy both at lessons and basketball. Although he was really tricky and money oriented, I still like his character. Especially when his past revealed. He abandoned by his father, the only family he had. He met with Fujita, a Yakuza that teach him about survival and how to fight for his life. I began listening to The Beatles because Fujita recommended Let It Be to Sawamura. It was one of The Beatles popular song. I always remember the lyrics, even when the night is cloudy, there is still a light that shines on me, shines until tomorrow, let it be... Sawamura was a heavy smoker. He was playing street basketball to earn money. Suddenly, he joined the basketball team at his school because of Naruse, the main character at Harlem Beat, . He was a good three point shooter. But his stamina was really bad. The perk of being a tricky person, he could maintain his bad stamina and still produced scores. He was the first member that joined the Straw Hat Pirate. He was considered as the largest influence and the most dangerous member on that pirate ship after Luffy. He was famous as a master swordsman. He also popular with his great strength, along with the actions of his captain. Sometimes he made the people misunderstood to believe that he was the true captain earlier. His dream was becoming the greatest swordsman in the world. 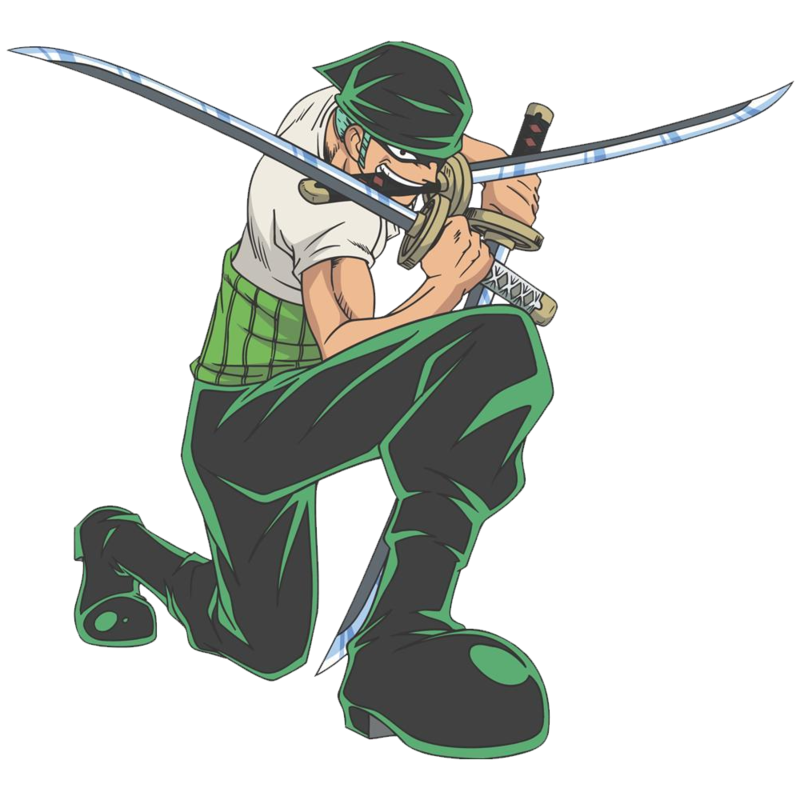 Zoro was recognized as an influencer of three swords battle technique. I think Zoro was very manly to be a protector. Before reading the comic, I already really like samurai. Probably instead of his face, I also liked Zoro because he good at sword technique and he had samurai personality. Samurai always had this four character: honour, nobility, courage and strength. The characters made them prestigious. Sawamura and Zoro both had a serious personality.They were struggling inside themselves about anything in their mind and heart but always look cool outside. Sawamura weak at his stamina and Zoro had a trouble with the recent weapon that's equipped for a long distance war. Despite of their weakness, they were a trustworthy friend. Both characters had the same weakness. They were a rigid person, totally different with the main character in their comic. Naruse and Luffy look like an innocent and ordinary person without special capability, they were laughing every time. They kept growing and had no limit in their capability in every battle even if people doubt about their strength and capability. From the weakness of the characters I learned to enjoy what I did and never stop growing, learning how to improve my capability. I really want to break my own limit. Did you have a favourite anime or comic character? Why did you like the character? Please share and tell me. This post was made as my participation in English Friday from Blog English Club. You could read about the challenge here. Wow. You are loving the "bad boy" type. Am I right? Hehehe. They are "right hand" type. Their characters are complementary with the main characters. Differences don't matter. It make the cartoon or comic more interesting. Wah maap ya susah, kurang tau jg knp susah ._.